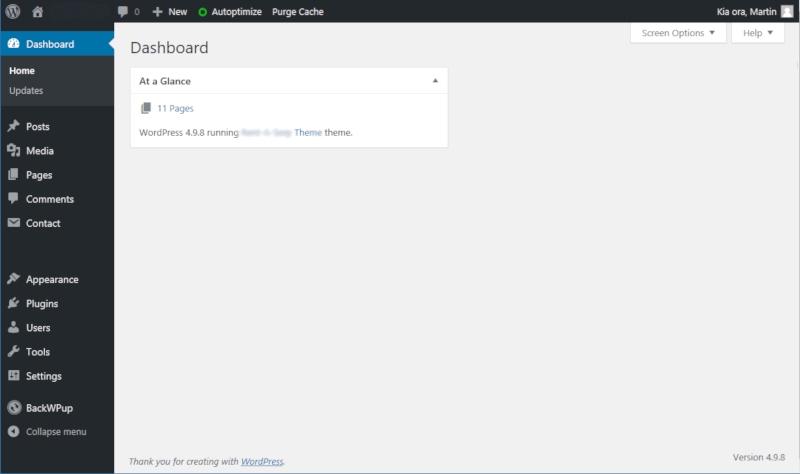 To do anything in WordPress you first need to log yourself in to the Admin Panel. This is the area of WordPress where you change settings and add your content. It’s the ‘behind the scenes’ side that your website visitors don’t see. When you first set up the site WordPress will send you an email which includes a link to your login page. This gets sent to the ‘Administrator’ email address you entered. But not to worry if you made a mistake with the email address or can’t locate that email. The default login page is always the same for WordPress — you simply add wp-login.php to the end of your main website address. 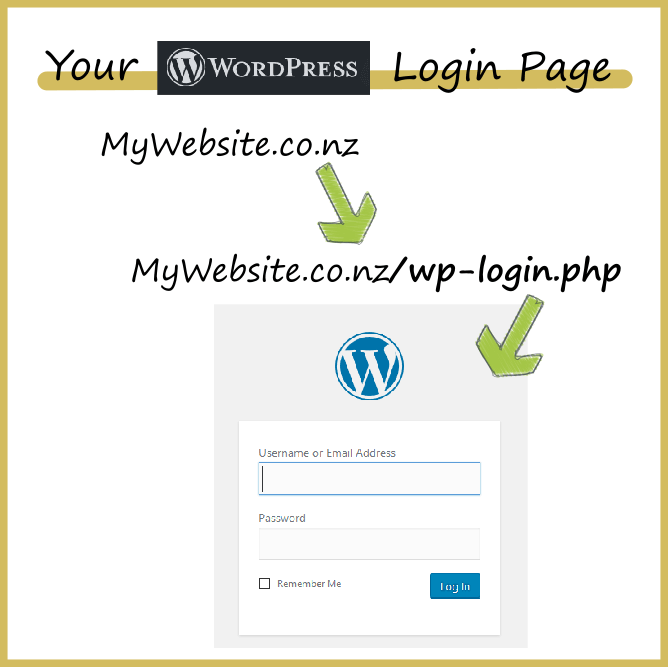 So if your website was cakesbytrish.co.nz, your login page would be found at cakesbytrish.co.nz/wp-login.php. You can use your username or email as the login ID – either work just fine (just remember if you change that email address in WordPress, then of course your login email will be different!). If you ever forget your WordPress password, there is a link below the login box that says “Lost your password?”. Just click that and you will be able to reset your password. Yours might look a bit different depending on any extra plugins that have been installed. All the main action happens using the menu down the left hand side. TIP: You can also customise what appears in the ‘Dashboard’ in the main section of this screen. Click ‘Screen Options’ at the top, and you will get a list of things you can tick or untick to make them appear or disappear from this page. As you add or remove plugins the options available here will change. TIP: You can also rearrange the boxes on this screen by dragging and dropping. Just pick them up and move them around to change the columns or the order you want them in. Back to more WordPress help here.